Hydraulic Oil: Replace Or Restore? - ! Equipment for Transformer Oil Reclamation. GlobeCore. Hydraulic Oil: Replace Or Restore? GlobeCore / Case Studies Of Oil Reclamation / Hydraulic Oil: Replace Or Restore? In addition, mechanical particles, microdroplets of water and air bubbles that penetrate deeply into oil during its transportation and storage, also affect oil’s performance characteristics significantly. Degradation of oil’s characteristics to the levels below the acceptable values is dangerous since it may cause failures in the operation of expensive equipment, the downtimes of which will result in great financial losses. 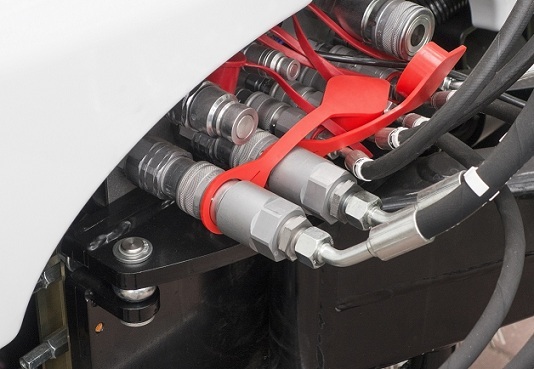 Only through the proper and regular maintenance of hydraulic fluid, an operator can ensure the uninterrupted operation of a hydraulic drive system. In practical terms, this problem may be solved in two of the following ways: (1) The working fluid is replaced with a fresh product. In this case, it requires considerable cost to buy new oil and dispose of the used oil; or (2) Hydraulic fluids are restored to a new-like condition and may be placed back into service again, precluding the need to dispose of the used oil and thereby saving money. In practice, restoration of hydraulic fluids that degraded performance characteristics during operation is realized by a purification process. In each specific case, the choosing of the purification method depends on (1) the functions of hydraulic fluid, (2) nature of contaminants, (3) type of oil that needs purification, (4) its viscosity, and (5) its original degree of purity. In today’s industry, performance characteristics of working fluids are restored with the help of filters. They are made of different materials that render it possible to reach a different degrees of purification based on the fluid and filter type. It should be noted that filtration is only one of the possible ways to achieve the desired purity of oil. Centrifuging, vacuum purification and electrical purification are among some of the alternative methods of purification. GlobeCore has found a solution to the problem of hydraulic fluid purification. As it was stated earlier, it is not so easy to choose the optimal equipment for the restoration of hydraulic oils. GlobeCore is one of the industry leaders in producing and supplying equipment for reclamation of hydraulic fluids, transformer oils, turbine oils and industrial oils. GlobeCore equipment is now being used in more than 70 countries around the world. GlobeCore always considers the needs of its clients and the benefits for its customers, and therefore, takes an individual approach to each of our customers, past, present and future. If you are unsure of what type or model of processing equipment to choose, GlobeCore’s team will take and analyze samples of your oil and offer you the most optimal equipment that will meet you needs. If required, our specialists will visit your facility, commission your equipment and train your staff in how to operate and maintain your oil processing equipment. GlobeCore always knows how to restore hydraulic fluids to the rated values thereby saving our customers money and time.